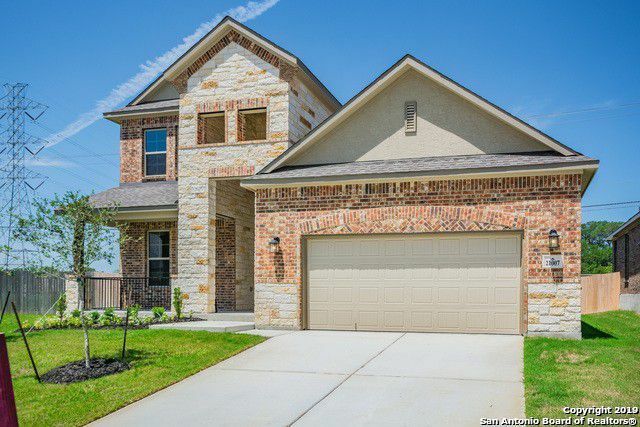 All SORRENTO homes currently listed for sale in San Antonio as of 04/18/2019 are shown below. You can change the search criteria at any time by pressing the 'Change Search' button below. "It just doesn't get better than this one..Stop by to see this immacculant, contemporary styled and tastifully appointed 2 story in Sorrento Subdivision. Spacious, Functional, and Serene are only a few words that best describe this rare gem. The home offers 5 spacious bedrooms, multiple living spaces, a chefs kitchen, tons of natural light, media room, upgraded tile flooring in wets area, a covered patio with extended deck and much, much more. Book a showing today!!" "The Griffon is a stunning 2-story home that boasts 2,940 square feet of functional living space. This home features 4 bedrooms, 3 baths, game room and study. You are welcome to this home by a large foyer and a secondary bedroom next to a full bath. Continue through the foyer into open common areas, including the kitchen, breakfast area, den and family room. You have the option to make the family room cozier by adding an optional fireplace and make the den a private study." "BETTER THAN NEW! Great NC location in exclusive gated n'hood with GREAT NEISD schools! Nearly new home lives like a one-story with Master Suite & 3 bedrooms/3 baths down. Office (could be 5th bed w/bath) up and game room. Large chef's kitchen open to dining & family room. NO CARPET (except stairs). Durable, easy-care, wood-look ceramic tile! So many upgrades - see attached! Super-cool timber wall in updated bar/desk area. Private patio & large, level yard for play! No neighbors behind. 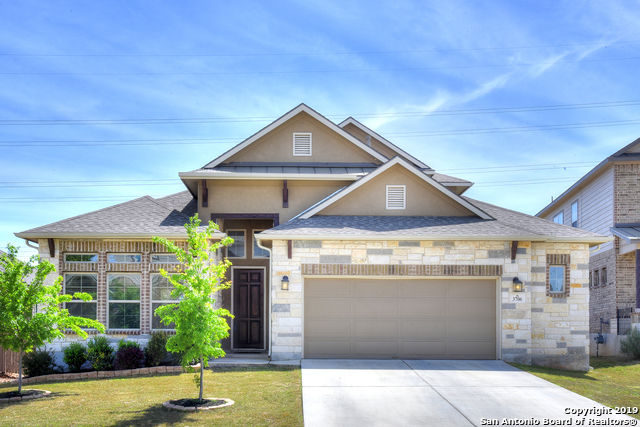 Walk to "
"Sprawling 2 story home ideally located near JW Marriott/TPC San Antonio. Key features of this 5 bedroom 4 bath home include 20' tall ceilings upon entry, open floor plan, stainless appliances, gas cooktop, granite counters, butler's pantry, upgraded wood look plank tile, media room pre-wired for surround sound, game room and mudroom. 5th bedroom could be utilized as an office. Sought-after schools nearby (walk to middle school) coupled with shopping, dining, and entertainment options within min"